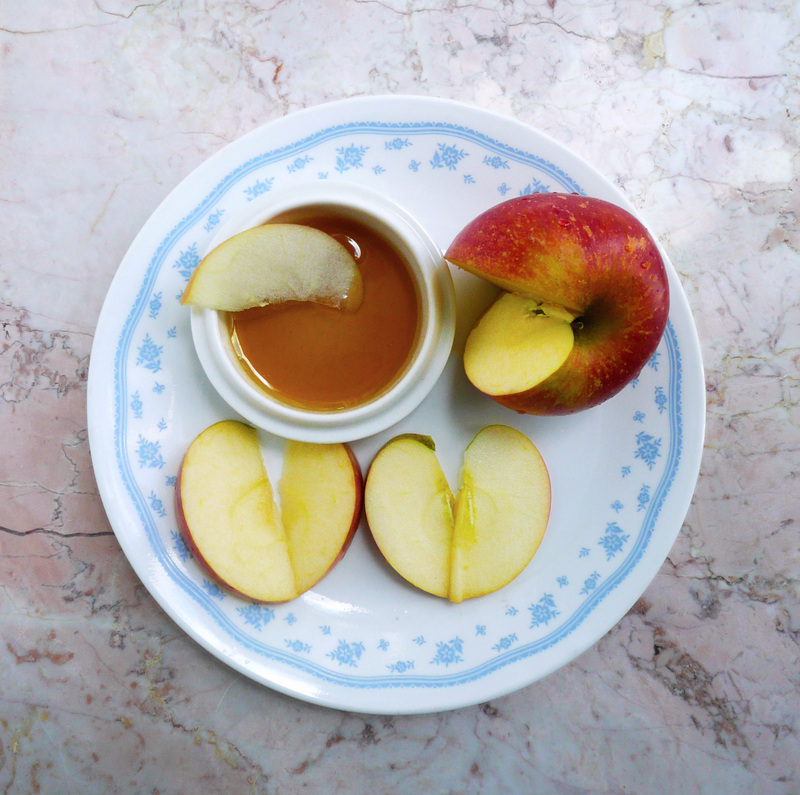 When I’m feeling like I want a sweet snack in a flash, I make myself a plate of apple slices and caramel dip. This is the easiest no cook caramel dip ever. This caramel dip tastes incredibly indulgent and takes just seconds to make. Olive oil and maple syrup may sound like an unusual combination, but it tastes delicious, especially when combined with the sweet apple. 1. Wash and slice your apple, and place the apple slices on a plate. Spoon the maple syrup and olive oil onto the side of the plate, or into a small dish. Stir the maple syrup and olive oil together until well combined. Dip the apple slices into the caramel and enjoy! mmm . . . This looks delicious. I like how easy it is to make.